The Great Temple, or Holy See, was constructed between 1933 and 1955. It located about 60 miles (100 kilometers) northwest of Saigon. 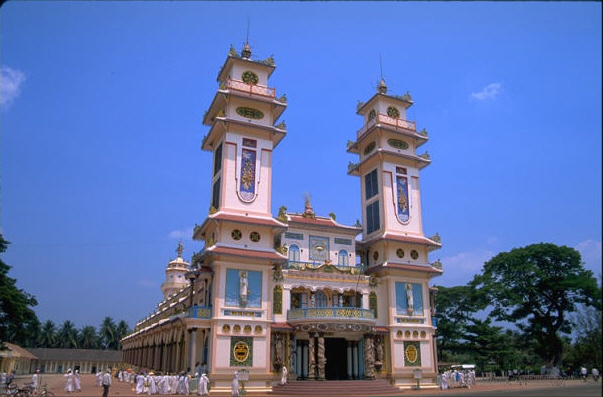 It is near the market village of Long Than, and only 5 kilometers from Tay Ninh, the capital of the province of the same name. The temple is easy to spot because of the bright colors, both outside and inside. There are colorful ceremonies with chanting four times a day.